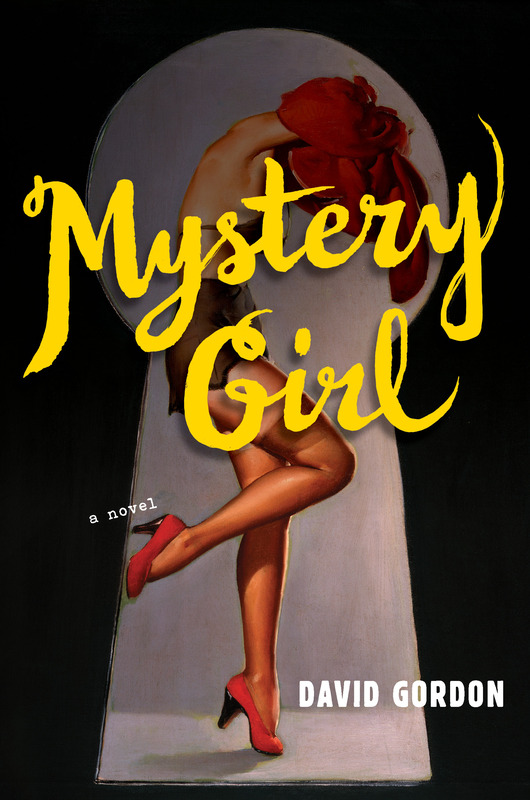 Mystery Girl by David Gordon is a book that made me angry. Why? Because it had to end. Honestly, I couldn’t put it down. It’s that good. Very seldom do I want a novel to just keep going on and on and not finish. Gordon’s book, which is his second published novel, is an outstanding success. I found out about it by reading the blog of another extraordinary writer, Anthony Neil Smith, who gave it a full recommendation. You see: this is why the Internet was invented, so the world could readily access such talent. Sam Kornberg is having a very bad run of luck. His wife Lala has just dumped him, the book store where he used to work has closed, and the video store where he hangs out is going down in flames. But worst of all, Sam has real doubts about his choice of profession: novelist. And not just any kind of novelist, a non-linear experimental novelist whose books defy plot descriptions. Think: Kafka, William S Burroughs, etc. So what does Sam do? Why, look for a job, of course. And what does he find? An apprenticeship to a detective. The detective turns out to be Solar Lonsky, a morbidly obese man who lives secluded in a house with his aging mother and house keeper. Solar can’t leave the house as he is suffering from all sorts of psychiatric conditions. But his mind is a powerful analytic machine. He needs Sam to follow around a mysterious young woman and report back to him. Solar is willing to pay lots of money to keep her under surveillance. So Sam takes the job. 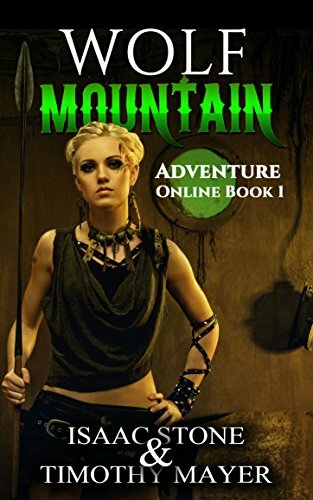 And from this point the novel roars into the sky and to tell more of the plot would be spoiling the many surprises the book holds for a patient reader. Most of the book is told from the viewpoint of Sam. But every time a significant character is introduced, you get to hear their story in form of a chapter-long monologue. It’s these moments where the novel really shines. At times it can get a little long, such as the British actor who has seen to much of everything. But the other times, such as the fiery tirade by a femme fatale, it goes on just right. There’s also constant commentary on film, literature, and the meaning of existence. What might drag another book out turns this one into a real gem. The author has an encyclopedic knowledge of movies and book. Where else are you going to find pages expounding on the significance of The Treasure of Sierrra Madre’s writer? And it all fits into the intricate plot of the book. So download or buy a physical copy of this books as soon as you can. You won’t be disappointed. The quoted sample could be our swan song, don’t you reckon? Our local bookstores and video shops are now gone. The bookstore I owned for thirty years was closed to lack of sales, and the stock donated to libraries. Today we buy our videos and books at Amazon or other Internet outlets. The author is certainly in touch with reality. It’s what makes the novel so brilliant. At the beginning, the narrator helps the owner of the bookstore where he has worked shut it down. They can’t give away all the books, so the two of them end up dumping them somewhere. I had a feeling he wasn’t making that episode up. The last used bookstore in Wichita Falls (120,000 population) tried to sell their stock to a bookstore owner in Fort Worth, but probably had to dump most of it. One before that was so upset with business, the owner didn’t even attempt to see the stock, but dumped the books in dumpsters over a period until everything was gone. I could not make enough to pay the utilities at my store. At one time there were dozens of used bookstores in Wichita Falls, now there are none. Abilene (Texas) also had dozens, and now only one, and it sells mostly romance novels. We trade with a bookstore in Haskell (Texas), 45 miles from us, but they are now so full of romance novels they aren’t taking any in trade. They do have SF, mystery, and some men’s adventure novels, but most of their stock is romance. Yep, been there, done that. I had a couple hundred hardbacks, classic authors, not run of the mill trash. I couldn’t sell them, and libraries didn’t want them. I called the ladies that run the Literacy Council, who have annual book sales, and offered the books to them. They actually came to my place. Looked the books over, then shook their heads. Even they didn’t want the stuff. I might add, I had a couple thousand comic books when I closed down. No one was buying them, either, when the store was in operation. I boxed them up, and they sit in their boxes after nearly six years. I wonder if we’re moving towards a niche market today? Kids can’t pay $4 and $5 dollars for a comic book, but would buy mine for 75 cents to a dollar, either. Grown ups with money, maybe?